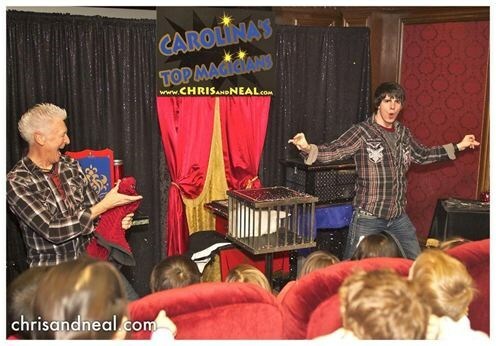 Chris & Neal are the most sought after, and busiest family magicians in the Carolinas. Their business as full time magicians has been built from their 5 star reputation as well as their commitment to customer excellence. 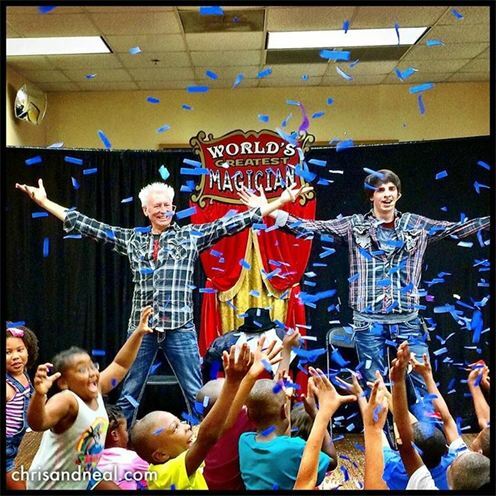 The North Carolina based PeeDee Post recently titled Chris & Neal as "Carolina's Most Popular Magicians", and their enthusiastic client/fan base seems to agree! All of the magic in their show is innovative, unique, and HIGH-ENERGY. 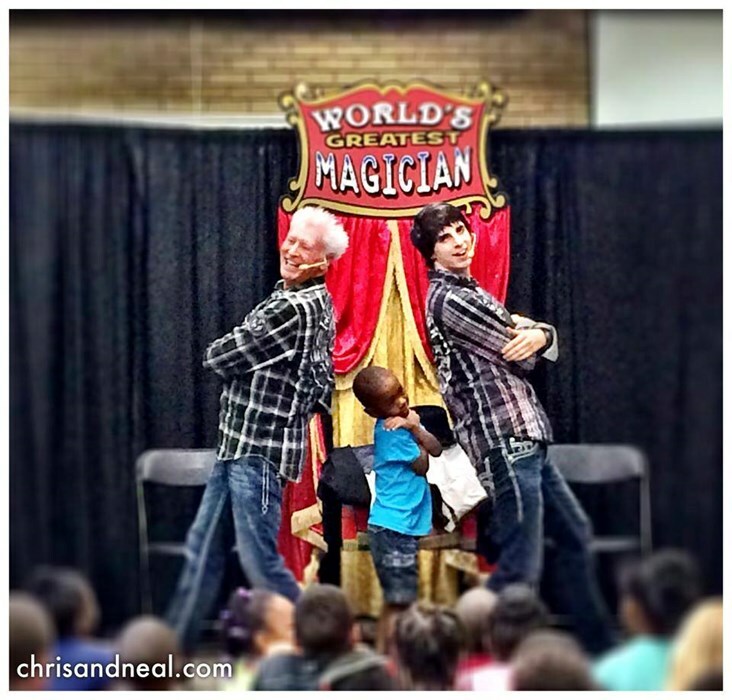 Quite simply, other magicians cannot hold the attention of young students like Chris & Neal can. Why? Because their show has been tested for YEARS to create the maximum impact! Their experience tells them exactly what kids are into and what excites them! Chris & Neal perform in NC, SC, GA, WA, VA & more. Please note Carolina's Top Magicians will also travel to Garner, Cary, Knightdale, Apex, Morrisville, Durham, Rolesville, Wendell, Clayton, Fuquay Varina, Holly Springs, Wake Forest, Willow Spring, New Hill, Zebulon, Youngsville, Angier, Creedmoor, Chapel Hill, Franklinton, Middlesex, Northside, Smithfield, Butner, Coats, Selma, Carrboro, Benson, Moncure, Four Oaks.